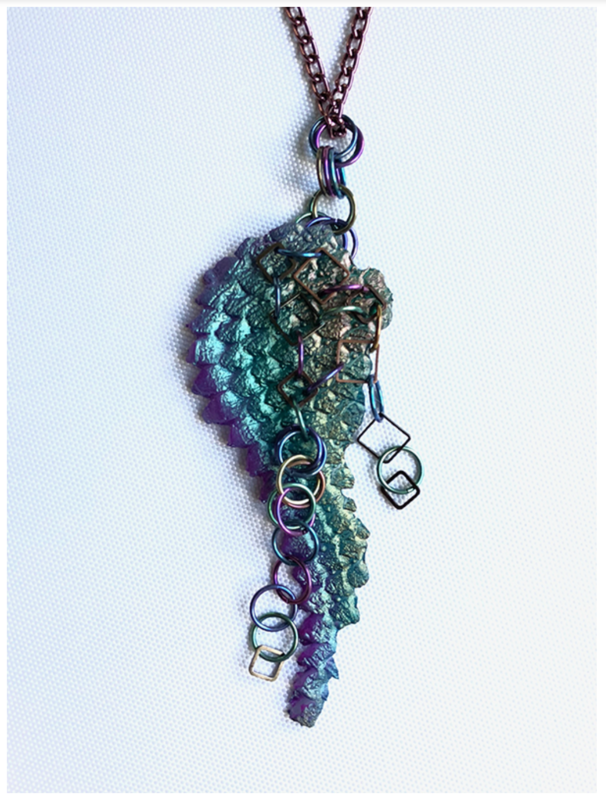 Karen works in non-traditional materials like aluminum and silicone to create DRGNSKYN(tm) , which forms the basis for her unique jewelry and wearable creations. Each hand-carved, molded piece is painstakingly colored in layers of pigment for beautiful, lightweight, hypoallergenic results. Karen has painted for many years using traditional oils. 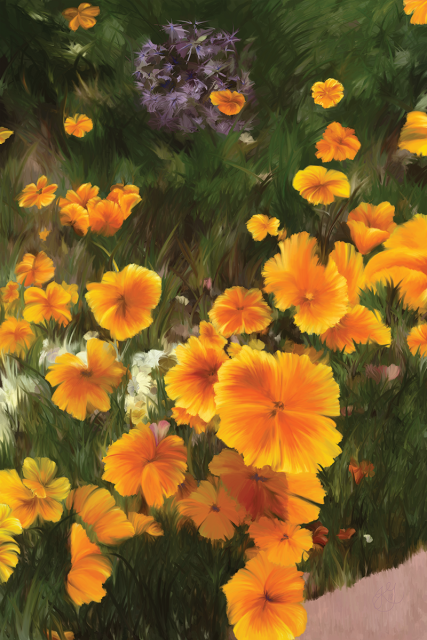 In recent years, she has begun exploring the wonderful options that digital painting techniques offer and has begun producing digital originals, with limited-edition giclee canvas and fine art prints. Some of her prints are offered with hand-embellishment - a technique that adds layers of texture and movement to the giclee print, as she layers gel media and acrylics onto the print. All of her paintings are limited editions, signed, and numbered, and come with certificates of authenticity. Of especial interest to collectors, they are all registered with Ascribe.